Although they might not look it, security bollards in architectural fiberglass are extremely tough, and more than capable of stopping an errant car dead in its tracks. 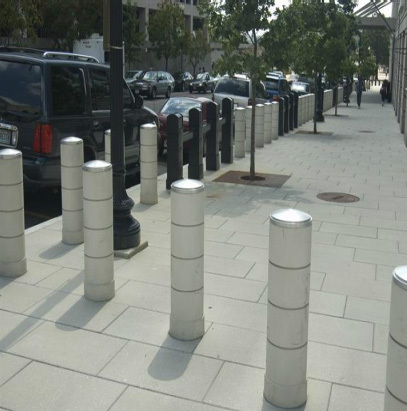 Security bollards accomplish this feat by adding additional weight and bolting them to the pavement or concrete. Architectural fiberglass is not itself a heavy building material, so supplemental weight must be added with concrete. 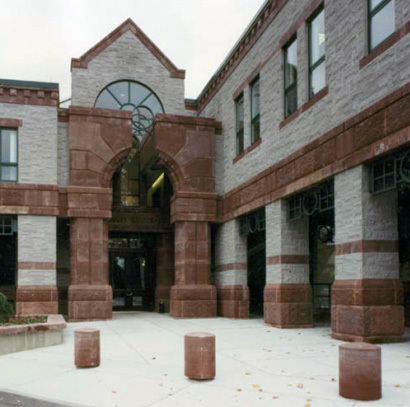 Security bollards can sometimes appear intimidating, but with architectural fiberglass from Stromberg Architectural Products, they don’t have to be. You can customize the exterior of your security bollards to look like a flower pot or a lamp-post or a sculpture. Furthermore, any additional weight or bolts are subtly hidden from view, giving the security bollards a more welcoming appearance without sacrificing effectiveness. You don’t have to look like an East German checkpoint to have a safe building. Architectural fiberglass security bollards can be tailor made to match the aesthetic of your treasured establishment. Not every car is a threat, but sometimes drivers make mistakes. Fortunately, while a security bollard made from architectural fiberglass will definitely repel an out of control car, they aren’t likely to seriously injure someone who accidentally grazes one. The careless or distracted driver will definitely know they hit something, but architectural fiberglass security bollards won’t cause nearly as much damage as a stone or cement bollard. Architectural fiberglass bollards are tough and will repel out of control cars. Architectural fiberglass is weather-resistant and won’t corrode or delaminate over time. The artisans at Stromberg Architectural Products will work closely with you throughout the process to make sure your finished architectural fiberglass security bollard is made perfectly to your specifications.